Another Guest Star Stamper Contest has come to a close and this month’s decisions were even more difficult than before! If you have the opportunity, I highly recommend visiting the June Guest Star Stamper Gallery in our forum. You will not be sorry! Well, now onto the winners! Lizzie Jones won in the "Best Baby Gift" category. Her creativity in making this adorable baby mobile using our new Bitty Baby Blessings set was just genius! 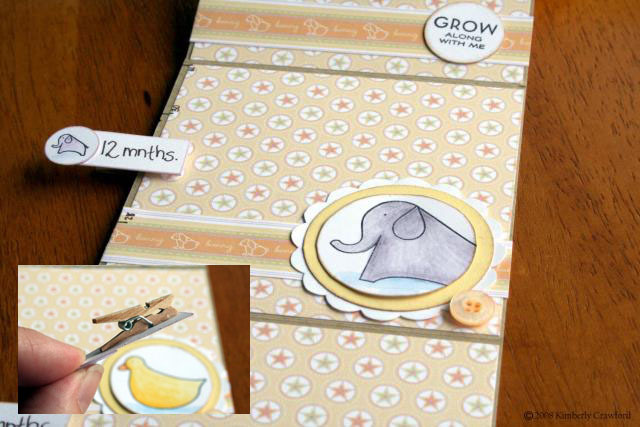 I love the idea of being able to customize it with patterned papers that compliment a baby’s nursery too! 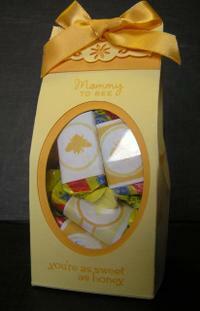 Tracy (whoistracy) had the winning entry for "Best Use of Honey Bees". I loved the simple three panels paired with the color scheme. The small pierced bee trail was a wonderful touch as well! And you gotta love anything that has a bit of sparkle! Meredith Brown (brownie75) won in the category of "Best Use of Mailbox Greetings". The way she highlighted a small portion of the mailbox image was unlike any other entry we had received. I really liked the way she mixed a modern color scheme with a traditional image. It really reinvented this stamp set for me. Since it is always so difficult for me to pick a winner, I have showcased a few of my other favorites. So much great inspiration! Look at everything below as doens of little bits of inspiration that you can take into your own stamping today and re-invent it to suit your needs, mood or style! Have fun! Heather (hmj) created this cute little gift that could be appropriate for so many little *just because* occasions! I thought the connection between a bee themed stamp set and Burt’s Bees Lip Balm was especially clever, with the color scheme complimenting that process perfectly! Regan D’Agostino (regandags) paired Bitty Baby Blessings patterned paper with this set for a bright, colorful card that just makes you happy to look at! All the yellow & orange hues paired with a little sparkle and a perfect balance in design make this an A+ project! 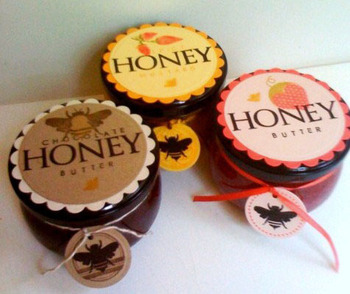 Verna Mason (verna) put together these amazing lid labels for a variety flavors of Honey Butter. I loved the combination of the Trajan Monogram Edition & Simple Alphabet she used for the text. I think it almost looks professionally printed! 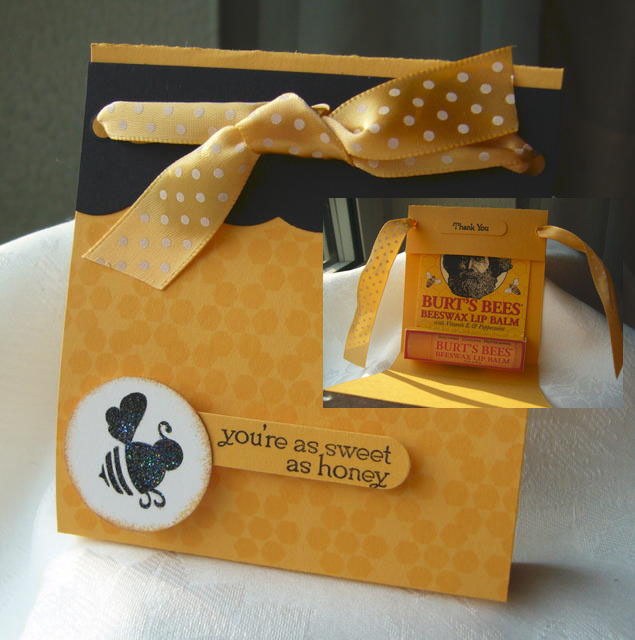 Bit O’ Honey candy to create a customized look. I think any mommy-to-bee would love to receive something like this! 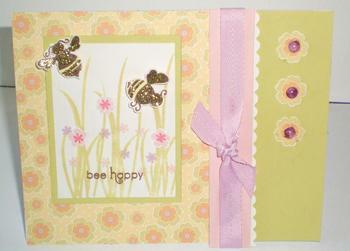 Katie Renz (mypaperhaven) created this pretty card with an out of the box color scheme for this set. I loved the Kraft, Lemon Tart & Sweet Blush paired together. 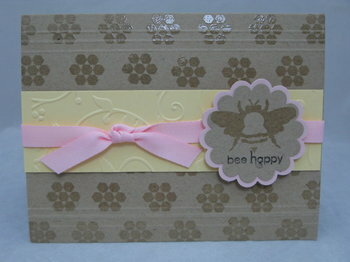 The background she created with the heat embossed honey comb image was really fantastic too! Beth Wilson (babies) made an incredible gift ensemble for baby (you can check out the full presentation HERE). The diaper bag which houses everything was one of my favorite parts. 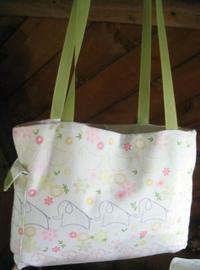 She stamped the fabric with a variety of images and customized it to go along with her vision. Beautiful job! 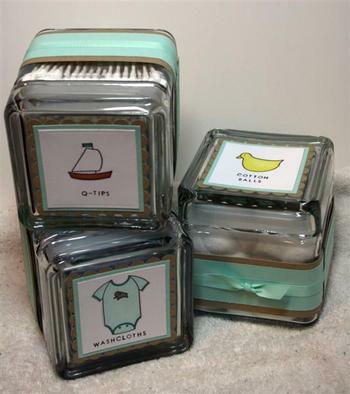 Kristy Vernon (kristyscraps) created these beautiful storage cubes for baby’s toiletry items that are kept near the diaper changing area. I loved the simplicity of them and can only image how cute they will be lined up in baby’s room! 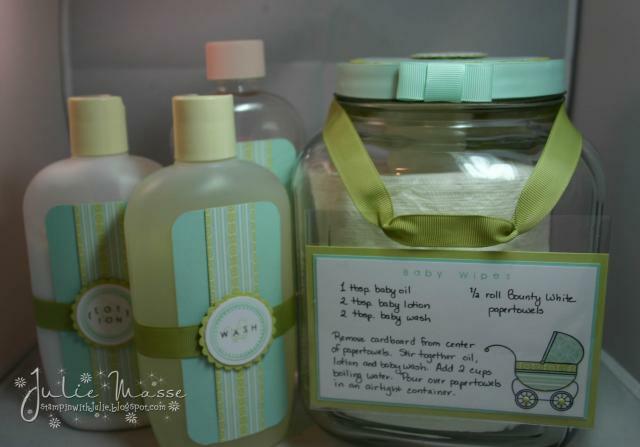 Julie Masse (jmasse) made this clever & cute baby wipes kit. She says she has been making her own baby wipes inexpensively for years. By providing an easy kit like this that will look pretty sitting out in the baby’s room to a new mother, she’ll save money AND benefit from the added decor! 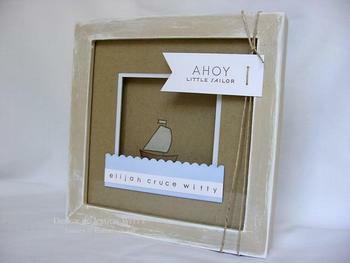 Jessica Witty (jess_witty) created this boutique quality name frame for a baby boy. I loved the rope & pennant flag detail on the outside of the frame. I can totally visualize this being presented at a baby shower along with a few other sailor themed items! 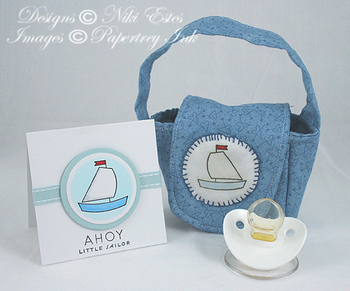 Niki Estes (Niki) made this absolutely to-die-for adorable bitty binky bag with matching card. I thought this would be such a cute little gift for someone who is just a casual acquaintance, like a co-worker or church member. 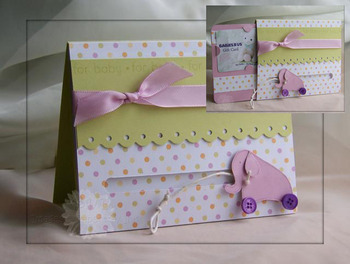 Molly (tylersmum05) created this AMAZING pull-toy gift card holder. When you pull on the string, an insert pulls out with it that has the gift card attached. I think ALL of the animals in Bitty Baby Blessings would work wonderfully with this pull-toy concept! blessingsX3 created a beautiful winter scene using Mailbox Greetings. 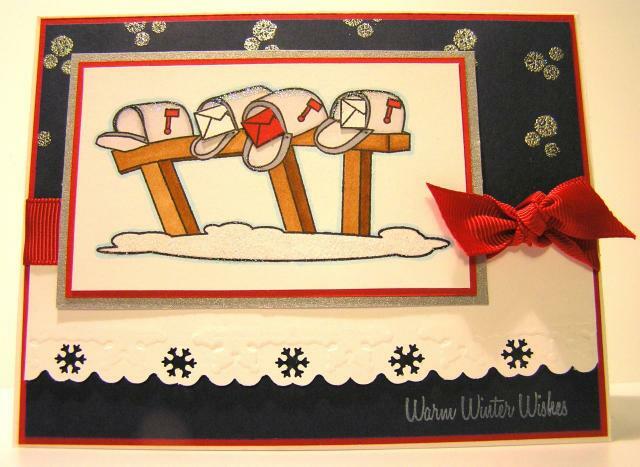 I loved the way that she added just a touch of glitter to the tops of the mailboxes and a few other places, really capturing the sparkling look of fresh fallen snow. Heather (hmj) decided that Mailbox Greetings lent itself perfectly to creating an adress book. 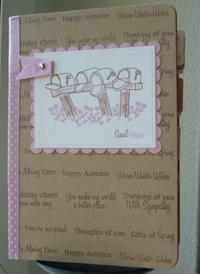 I loved the way she appropriately created a background by using a mixture of the sentiments that are included in the set. Wendy Weixler (wendybell) made this beautiful card that features a bit of red color pop. I really liked the way she created the sentiment strip up the side, emphasizing one section in black. I’ll have to try that myself sometime soon. Entries need to be uploaded no later than July 13th! I look forward to seeing your submissions! Great samples!! Does Verna Mason have a blog? Wow! Every entry is wonderful! What a task to select the winners … but what a joy to see your products being so beautifully represnted! Congratulations to everyone! waouh magnificent j adore everything!